Epitaph: a phrase or statement written in memory of a person who has died, especially as an inscription on a tombstone. 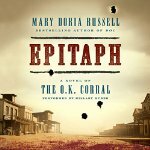 This is a kind of sequel to Russll’s “Doc” (2011), but explores in fiction the story of how Sadie Marcus (aka Josephine Earp) a sweet young actress runaway from an immigrant Prussian Jewish family in San Francisco, came to “marry” Wyatt Earp the famous lawman and gambler who took part in the gunfight at the OK Corral and how the other players in that little number got involved. Put almost any name found in the novel into Google and you’ll come up with something – Russell has done an enormous amount of research, not just on the incident in Tombstone itself, but into the lives of the Earp brothers, the Clantons, Doc Holliday, Josie Earp, Johnny Behan and characters which populate the novel and were historically present during those times and afterwards. I’m not going to Google them all – This book is so well researched that only some individual encounters, the dialogue, and the points of view of the characters are imagined – and probably well imagined, too. This is probably as accurate an account as any I’ve read (and I’ve read about it since college days). Warlock by Oakley Hall (1958) is a more fictionalized version than Russell’s, but it’s better literature, imo. That said, the thrust of the two books is different. Hall was working out some themes, Russell is concerned with telling a darn good yarn in a more complete and historically accurate way. She also carefully places the events in their context with respect to US as a whole – politics, the economy, the social milieu, international relations, etc. 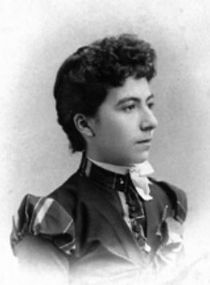 (This was the Gilded Age with immigrants flooding the cities, union strikes and Mexican border disputes and President Garfield was assassinated.) She does a truly admirable job.